Stacy Chatfield graduated from the Baking and Pastry Program at The Culinary Institute of America in 1998. She has worked as the pastry chef for Restaurant 301 and Avalon, two of Northern California’s top rated restaurants. She then began baking for The North Coast Bakery, an organic whole foods cooperative, in Arcata, California. During her time at the coop, she created and tested various recipes for traditional bakery items as well as recipes for specific diets and allergies. In 2001, Stacy began working as the pastry chef for Folie Douce, a fine dining restaurant in Arcata, California. In 2002, she accepted a position as the Culinary Arts Instructor at Fortuna High School. For this program, Stacy created the curriculum, wrote and tested recipes, and has planned multiple culinary educational field trips for the students. They have traveled to San Francisco, New York City, Chicago, Boston, New Orleans and also to southern California. Through her development of the program, Stacy has made it one of the most successful electives. Throughout the school year, the program caters many local events. During these catering projects, Stacy writes menus and oversees the students to ensure success. Along with her other endeavors, Stacy currently owns and runs Verbena, a specialty cake, pastry and catering business. 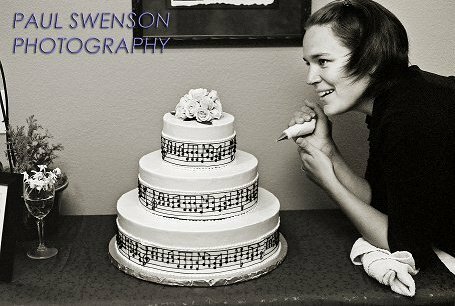 Her company is one of the premier wedding cake and pastry companies in Humboldt County.